"Flatus Sanus, the Roman name for Flassans, is a pretty little village surrounded by valleys of white oaks and with the River Issole both of which provide a welcoming freshness when the summer sun is at its strongest. 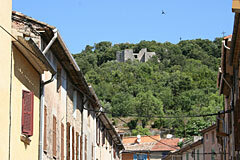 Flassans is located on one of the pilgrimage ways to St Jacques de Compostelle. From this rich history comes the Feudal château of the PONTEVES Family, the ruins of which dominate the surrounding countryside. On the banks of the Issole and in the heart of the village, a donkey's back bridge, and a XVIth century restored olive oil mill can be found next to the shady main square. Stay a while to soak up the ambiance. Old Flassans: The Friends of Old Flassans have arranged walks around the heart of the remains of the château des Ponteves. Here amongst other sights you can find, a bread oven, the ruins of the guard house, a well, and the remains of the old houses. 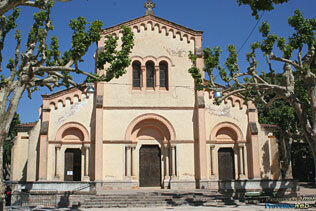 Nearby is the Notre Dame de Consolation chapel built in the XVIth century. There is a beautiful view over the rooftops of the village. 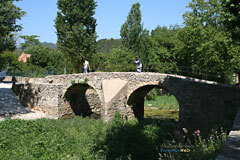 The Campdumy bridge (XIVth century), remains of the Ponteves château. Notre Dame de Consolation chapel (XVIth century), donkey's back bridge. Florence-Basset gallery (post war figurative paintings). All kinds of walks and hikes. Golf course (6372m par 72). Fishing. 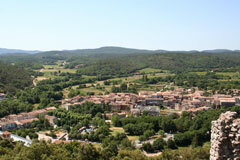 Besse sur Issole (5 km), Cabasse (13 km),Pignans (10km), Gonfaron (10km).